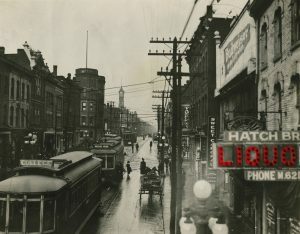 PHOTO COURTESY TORONTO REFERENCE LIBRARY: Vice and Virtue, running until April 30 at the Toronto Reference Library, examines moral reform in Toronto at the turn of the last century. When moral crusader William Holmes Howland was elected mayor in 1886, he introduced laws to curb drinking and vice. This exhibit presents articles, photos, and other media fueling the good and evil behind Toronto the Good. April 2017 marks the third anniversary of the Bloor St. Culture Corridor. Beginning as a group of 12 cultural institutions on Bloor Street, it now encompasses 19 different arts and culture organizations between Yonge and Bathurst streets and offers a wide array of cultural experiences. What a difference a few years make: we worked alongside the municipal government to have the area officially designated as a City of Toronto cultural corridor, Bloor St. Culture Corridor banners now hang from streetposts, and the logo can be seen in windows of local businesses. We even have a mobile app that provides listings for over 200 amazing arts events along the corridor every month. The Bloor St. Culture Corridor has united cultural organizations working in a multitude of disciplines from a diverse array of cultural backgrounds and languages. We plan to work with local business, arts organizations, and residents to develop and enhance the local neighbourhood and Toronto’s vital arts and culture sector along Bloor Street and across the city. There are many exciting events taking place on the Bloor St. Culture Corridor in April. The Miles Nadal Jewish Community Centre presents Land and Cityscapes by painter Paul Peregal, from April 1 to 26. At the Al Green Theatre, Cracked: New Light on Dementia, a play that follows persons with dementia and their families, will be on from April 18 to 20. On April 27 at 8 p.m., 918 Bathurst Centre will host New Blue Emerging Dance, the official launch of 918 Bathurst’s initiative to become a new leading venue in dance creation, performance, and education in Toronto. There will be drinks, prizes, food, live entertainment, speeches, and more! On April 12, the eclectic Quartetto Gelato will perform works written for them by Canadian composers. All during April, the Istituto Italiano di Cultura is showcasing Palimpsests and Interfaces: Architecture by Renato Rizzi and Cino Zucchi, Architects. Italian flautist Luisa Sello will also perform with the University of Toronto Symphony Orchestra at the MacMillan Theatre on April 20. Road of Light and Hope: National Treasures at Todai-ji Temple, Nara, photographs by Miro Ito, continues at The Japan Foundation Toronto from March 15 to June 28. The Museum of Estonians Abroad will celebrate World Book Day with artist Laani Heinar, who will lead a workshop, Giving Books a New Life, on April 19 at 6 p.m. in English. Alliance Française Toronto will host an Alan Lomax tribute concert by Jayme Stone on April 28 at 8 p.m., as well as an exhibit of artifacts and short films representing Torontonians and their memory of the First World War on April 5 at 7:30 p.m. The Hot Docs Ted Rogers Cinema will be showing Mr. Gaga, a portrait of Israeli dancer Ohad Naharin. The Hot Docs Canadian International Documentary Festival also runs from April 27 to May 7. On April 21, the University of Toronto Faculty of Music co-hosts the day-long interdisciplinary symposium Hearing Riel, with the Munk School of Global Affairs and the Canadian Opera Company. Continuing at the ROM in April: Out of the Depths: The Blue Whale Story. Anchoring the Museums Canada 150 celebrations, this exhibition showcases one of the largest, most complete blue whale skeletons ever displayed. Other featured ROM exhibitions include the colourful Art, Honour, and Ridicule: Asafo Flags from Southern Ghana, and the multimedia installation Isaac Julien: Other Destinies. Tafelmusik Baroque Orchestra welcomes the father/daughter team of oboist Alfredo Bernardini and violinist Cecilia Bernardini to co-lead Bach: Keeping it in the Family, a concert exploring the family genius of J.S. Bach and his eldest sons at Trinity-St. Paul’s Centre, April 5 to 9. The Gardiner Museum is celebrating the opening of its new Community Clay Studio. On April 8 and 9 from 11 a.m. to 3 p.m., families are invited to engage with clay through hands-on art activities, tours of the new space, and wheel-throwing demonstrations at 11:30 a.m., 12:30 p.m., 1:30 p.m, and 2:30 p.m. Admission is free for visitors 18 and under every day! 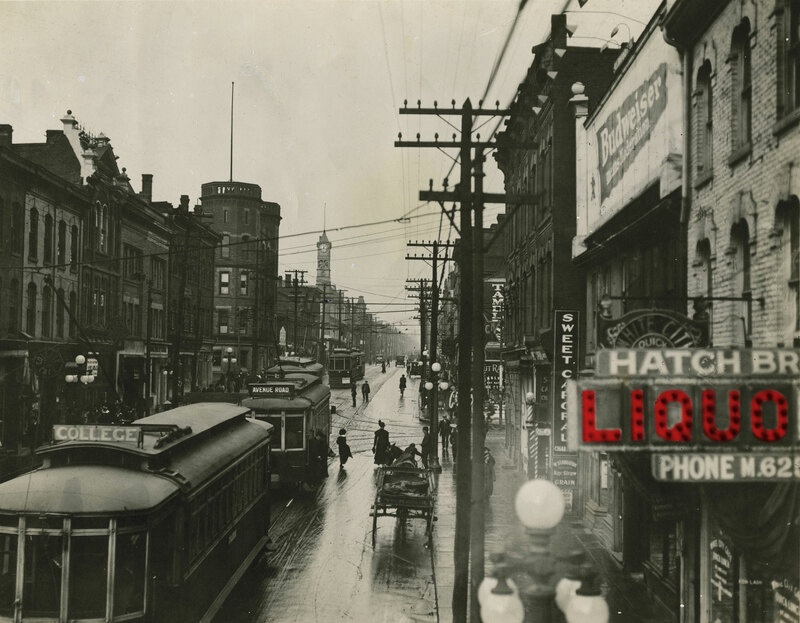 Vice and Virtue, a free exhibit at Toronto Reference Library’s TD Gallery, offers a look back at moral reform in Toronto the Good as it faced rapid growth and industrialization at the turn of the century. The Weavers (Die Weber), Gerhart Hauptmann’s socialist theatre masterpiece, takes to the Randolph Centre for the Arts’ Annex Theatre stage. April Concerts at The Royal Conservatory’s Koerner Hall include Jason Moran and The Bandwagon & Alexander Brown Trio on April 1, Les Violons du Roy on April 13, and a Canadian all-star evening of chamber music with the Montrose Trio & Friends on April 28. Koerner Hall will also welcome Colombian superstars Monsieur Periné and Peruvian-Canadian singer Patricia Cano on April 19. Finally, Raoul and The Big Time perform “Down in the Delta” on April 29, with special guests. Conor McSweeny is with 918 Bathurst Centre, one of the Bloor St. Culture Corridor’s 19 arts and cultural hubs. Correction: The print version of this article had a typographical error in the cutline.